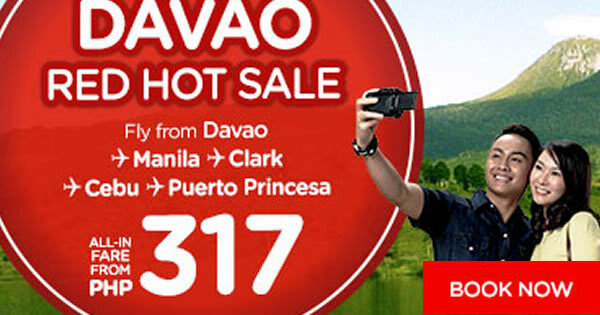 AirAsia's DAVAO RED HOT SALE, Book Early! Book Now! Be ready to explore davao with this Davao promo fare. For only P317 All-In fare on base fare when you book your flights from Davao to Manila, Clark, Cebu, Puerto Princesa, travelling from September 1, 2017 to June 5,2018. Book now to save more money!